As if Ted Cruz didn’t already have enough against him media-wise (i.e. he’s a principled, brilliant and credentialed conservative both fiscally-- and even more odiously--socially)–on top of these offenses, he’s also half Cuban. Forget the liberal love chants to “ethnic diversity.” The Cuban ethnic brand has long flapped like a matador’s cape in front of the Democrat-Media complex. Granted, some of those insufferable Cubans love to flap it. In settings like MSNBC (but usually backstage) the term coconut (brown on the outside white on the inside) is generally used to castigate “Hispanics” who ignore marching orders barked by Democratic/Media drill sergeants–same as “Oreo” for similarly uppity blacks. Never mind that the Cuban-American Marco Rubio (like Ted Cruz) is probably more purely Caucasian than Elvis Presley, Hank Williams, Oral Roberts, Johnny Depp among many other southerners who boast Choctaw/Cherokee heritage. Never mind this because the issue here is the liberal media’s hypocrisy—not their stupidity. Would he even bother seeking future media employment? Years ago Joe Sobran –as usual—nailed it by writing that “refugees from communism embarrass liberals.” Bulls-eye! Whoops! Excuse me, I exaggerate. In fact, these books have been mentioned --shamelessly plugged in fact, but in places such as Warsaw by the Polska Times ( a division of the London Times,) Madrid by former Spanish First Lady Ana Botella, in Sao Paolo by Brazil’s hugely popular Veja. Nothing by the Beltway biggies in my home country however. Deep down liberals feel that Cuban-Americans had it coming. Only a tiny and filthy-rich clique of mobsters, pimps, crooks, robber barons, slave-drivers, plantation-owners, and sweat-shop owners–all direct descendants of the Spanish conquistadores—prospered in pre-Castro Cuba. They prospered by slave driving, sweatshopping and pimping the island’s indigenous people. Thus goes thefable. There will be a question from some about Texas Sen. Ted Cruz's eligibility to run for president. Democrats are sure to remind voters of Cruz's Canadian birth since some on the right have questioned where President Obama was born. The president is a native of Hawaii. Sen. Ted Cruz says because his mother was born in the United States that makes him a "natural born citizen" and eligible to run for president. The U.S. Constitution says presidential candidates have to be "natural-born citizens." But the Supreme Court has never weighed in with a definition, leaving it open to interpretation. It's a question that has come up before. 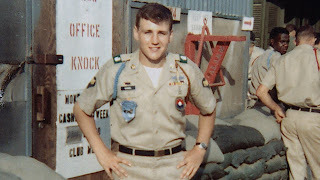 In 2008, senators passed a resolution, making it clear, for example, that John McCain was allowed to run given that he was born on a U.S. military base in the Panama Canal Zone. Barack Obama and Hillary Clinton, both senators then, voted for it. Barry Goldwater, the 1964 GOP nominee, was born in Arizona when it was a territory – not a state. And some questioned George Romney's eligibility to run in 1968, because he was born in Mexico. Romney's parents were U.S. residents. Cruz's parents worked in the oil industry in Calgary, Canada, when he was born. His mother was born in the United States. His father was born in Cuba, but later became a U.S. resident. Cruz argues that because his mother was born in Delaware, he is, in fact, a "natural-born citizen." Article II, Section 1 of the U.S. Constitution states, "No Person except a natural born Citizen...shall be eligible to the Office of President." And most legal scholars agree. In fact, two of the best-known Supreme Court lawyers – who are not normally on the same side – make the case that Cruz – as well as McCain, George Romney and Goldwater – is eligible to run. 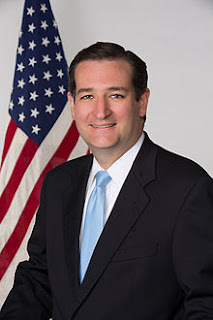 Neal Katyal, who served as acting solicitor general in the Obama administration, and Paul Clement, who was solicitor general under George W. Bush, wrote earlier this month in the Harvard Law Review that "there is no question" Cruz is eligible. They cite that because Cruz's mother was a U.S. citizen and his father was a U.S. resident, "Cruz has been a citizen from birth and is thus a 'natural born Citizen' within the meaning of the Constitution" and the "Naturalization Act of 1790." They also point to British common law and enactments by the First Congress, both of which have been cited by the Supreme Court. Both confirm that the original meaning of the phrase "natural born Citizen" includes persons born abroad who are citizens from birth based on the citizenship of a parent. As to the British practice, laws in force in the 1700s recognized that children born outside of the British Empire to subjects of the Crown were subjects themselves and explicitly used "natural born" to encompass such children. These statutes provided that children born abroad to subjects of the British Empire were "natural-born Subjects . . . to all Intents, Constructions, and Purposes whatsoever." The Framers, of course, would have been intimately familiar with these statutes and the way they used terms like "natural born," since the statutes were binding law in the colonies before the Revolutionary War. They were also well documented in Blackstone's Commentaries, a text widely circulated and read by the Framers and routinely invoked in interpreting the Constitution. No doubt informed by this longstanding tradition, just three years after the drafting of the Constitution, the First Congress established that children born abroad to U.S. citizens were U.S. citizens at birth, and explicitly recognized that such children were "natural born Citizens." The Naturalization Act of 1790 provided that "the children of citizens of the United States, that may be born beyond sea, or out of the limits of the United States, shall be considered as natural born citizens: Provided, That the right of citizenship shall not descend to persons whose fathers have never been resident in the United States ... ."
The actions and understandings of the First Congress are particularly persuasive because so many of the Framers of the Constitution were also members of the First Congress. That is particularly true in this instance, as eight of the eleven members of the committee that proposed the natural born eligibility requirement to the Convention served in the First Congress and none objected to a definition of "natural born Citizen" that included persons born abroad to citizen parents. Katyal and Clement conclude, "There are plenty of serious issues to debate in the upcoming presidential election cycle. The less time spent dealing with specious objections to candidate eligibility, the better. Fortunately, the Constitution is refreshingly clear on these eligibility issues." On Tuesday, after President Barack Obama shook hands with Cuban dictator Raul Castro, Sen. Ted Cruz (R-TX) reportedly walked out of Nelson Mandela's memorial service when Raul Castro was speaking. A Cruz spokesperson told Newsmax that Cruz believes "Castro has wrongly imprisoned and tortured countless innocents" and that Castro "learns from Mandela." "Just as Mandela was released after 27 years in prison, Castro should finally release his political prisoners; he should hold free elections, and once and for all set the Cuban people free," the spokesperson said. Cruz's father, Rafael, is from Cuba, and he came to the United States before Raul's brother--Fidel Castro--came to power in 1959. Sen. Ted Cruz's father Rafael Cruz took the stage at a Freedom Works Free the People event this summer and gave a speech in which he compared President Obama to Fidel Castro numerous times. "It is such an honor to be here with so many patriots," said elder Cruz. He then went on to share with the crowd that he "grew up in Cuba under a strong, military, oppressive dictatorship" and that as a teenager had become involved in a revolution. "I remember during that time, a young, charismatic leader rose up, talking about hope and change," he said. "His name was Fidel Castro." Rafael went on to recall how he became disillusioned by seeing what Castro had later done to Cuba even after promising "hope and change," and then later goes on to say that seeing what is happening in the United States under Obama also causes disillusion. "I think the most ominous words I’ve ever heard was in the last two state of the union addresses, when our president said: 'If Congress does not act, I will act unilaterally,'" he said. The Senate voted Wednesday to advance a controversial bill that would both avert a government shutdown while defunding ObamaCare, after Sen. Ted Cruz delivered a marathon 21-hour speech in a bid to rally public opposition to the health care law. Despite Cruz's efforts, Senate Democratic Leader Harry Reid is expected to swiftly strike the ObamaCare language, leaving only a stopgap spending bill that would keep the government open until mid-November. This will tee up yet another stand-off with Republicans. Without an agreement, the government will partially shut down on Oct. 1, but some Republicans continue to demand that the health law be defunded in exchange for a budget bill. "ObamaCare isn't working," Cruz said Wednesday, as he departed the Senate floor after speaking in opposition to the law from Tuesday afternoon straight through until noon on Wednesday. Senate Majority Leader Harry Reid countered that his floor speech was a "big waste of time" and only brought the government closer to a shutdown. "With all due respect, I'm not sure we learned anything new," Reid said. Cruz's speech was a symbolic stand, as he was not actually able to stall the bill at this point. In the end, he and every other senator voted to advance the bill and proceed to debate. The vote was 100-0. But Cruz, anticipating that Reid will re-fund ObamaCare, is trying to rally Republicans and moderate Democrats to join in blocking the bill before it comes to a final vote. Another test vote, which will require 60 senators to proceed, is expected in the coming days. What comes next is a complicated set of procedural maneuvers, with no clear outcome. Reid hopes to put up a clean bill that simply keeps the government open past Sept. 30, and send it the House by the end of the weekend. If Reid can muster the votes, majority Republicans in the House will then have to decide whether to stand by their demand that the health law be defunded and risk a government shutdown, or pass the Senate bill -- in turn keeping the government open, but allowing key parts of the controversial health law to launch in early October. Speaking in support of the health law, Sen. Charles Schumer, D-N.Y., claimed his party is in a better position going into the final stretch before the end-of-the-month deadline. "Senator Cruz has actually advanced our cause. He has alienated some of his colleagues. He has united Democrats. And he has shown the American people he is willing to hold them and their wellbeing hostage unless he gets his way," he said. From Tuesday afternoon until noon on Wednesday, Cruz -- with occasional remarks by Sen. Mike Lee, R-Utah, and other GOP conservatives -- controlled the Senate floor and railed against ObamaCare. At 10:41 a.m. EDT Wednesday, Cruz and his allies reached the 20-hour mark, the fourth-longest Senate speech since precise record-keeping began in 1900. After more than 21 hours and no bathroom break, Texas Sen. Ted Cruz ended his talk-a-thon against Obamacare at high noon on Wednesday. The conservative firebrand's marathon speech against health care reform ended as the Senate calendar moved to a new day's business for procedural purposes. Though he had the option to speak until 1 p.m. ET, Cruz ended his speech after hours on his feet, clocking in at 21 hours, 18 minutes and 59 seconds. Cruz's speech is now the fourth longest in the history of the body. The record for longest speech on the Senate floor is still held by Sen Strom Thurmond (D-SC) in 1957, when he spoke for 24 hours and 18 minutes in opposition to the Civil Rights Act of 1957. Texas Senator Ted Cruz reads two bedtime stories to his daughters at home and likens Obamacare to "Green Eggs and Ham"
Cruz finished – in black sneakers bought specially for the occasion – after taking no bathroom breaks and eating no food beyond a few nibbles throughout the night. He occasionally paced the floor to stretch his legs after yielding to some helpful Republican colleagues for a question. Those pauses allowed him to take a break from speaking, if not standing. But Cruz's speech, as long as it was, did not have the effect of stalling a planned vote to formally take up legislation passed last week by the House that would fund the government past Sept. 30, but also strip funding for the Affordable Care Act. That vote was still set to move forward on Wednesday afternoon. But Cruz nonetheless spoke thousands of words – including a rendition of Dr. Seuss's "Green Eggs and Ham" Cruz read as a bedtime story over television to his children – before finally resting. He professed his love for White Castle burgers, talked about Star Wars, and even commended actor Ashton Kutcher for a recent award show speech. Between the padding, the freshman senator dipped into long monologues about his fierce opposition to President Barack Obama’s health care law. He even sought to speak a bit more, apologizing to nonpartisan Senate staff for having to endure his “Bataan Death March” of a speech. He first took control of the floor at 2:41 p.m. on Tuesday. "There is still, at least, strength in my legs to stand a little longer," he said late Wednesday morning. After engaging in a procedural back-and-forth with Senate Majority Leader Harry Reid, D-Nev., Cruz eventually said he would wrap up his effort at noon. Sen. Ted Cruz, R-Texas, talks about difficult situations that Americans have faced during his Tuesday speech on the Senate floor against the Affordable Care Act. Democrats were largely dismissive of Cruz's effort, noting that it was not a formal filibuster since it had no effect of delaying or preventing a vote on the House-passed legislation. And Reid even noted that he and Cruz had previously agreed to set aside time for the Texas senator's lengthy screed. "This is an agreement that he and I made that he could talk," Reid said. But for all the posturing, his effort amounts to little more than a very, very long speech. But Cruz gained in some regards by endearing himself to conservatives who regard Obamacare as anathema. 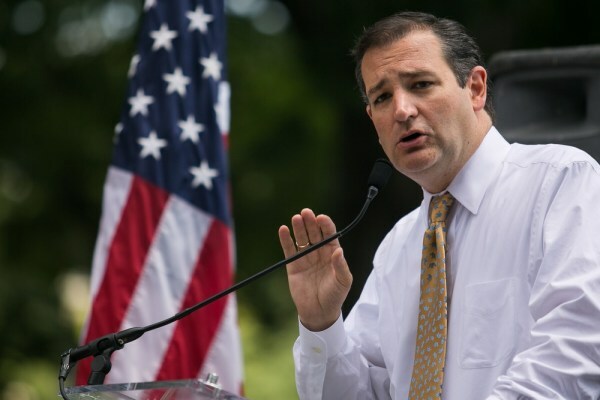 That enthusiasm could prove useful come 2016, should Cruz decide to wage a bid for the Republican presidential nomination – an action for which Cruz has already begun preparing. Cruz did succeed in rallying some Republicans to his cause throughout the evening, though. Republican Sens. Mike Lee, David Vitter, Pat Roberts, Jeff Sessions, Marco Rubio, Jim Inhofe, and Mike Enzi had visited the Senate floor to ask their colleague a question, a tactic that allowed Cruz a temporary break from speaking. Though he didn’t appear on the floor during Cruz’s speech, Senate GOP Leader Mitch McConnell, R-Ky., hailed the Texas senator’s antics after they had concluded. Those other Republicans’ words of praise underscore the political value of the lengthy speech for Cruz. Kentucky Sen. Rand Paul – who appeared on the floor to assist Cruz – waged his own, formal filibuster against President Barack Obama’s national security practices and use of drone strikes in March. That filibuster made Paul, another freshman Republican with designs on the presidency, a hero to many grassroots conservatives. "We saw something incredible happen at that time...and it transformed the debate," Cruz said Tuesday, commending Paul's effort. Still, the Senate was set to move forward with its business as planned once Cruz had concluded. Senator Ted Cruz, R-Texas, speaks on the Senate floor Tuesday, vowing to deliver a long speech against the Affordable Care Act. Ironically, after exhausting virtually all the time allowed for senators to debate the legislation on funding the government and gutting Obamacare, Cruz called for limiting the amount of time for debate before a final vote. Cruz argued it would be better for a vote to be held on Friday so that the public would more likely tune in; on Saturday, the Texas senator reasoned, many Americans might be distracted by college football games. The shorter time-frame for the next vote, though, also serves a shared purpose for lawmakers in the House. They need the Senate to return the legislation to them -- which will have the provision to defund Obamacare stripped from it -- as soon as possible. That would give the House GOP more leeway to craft a counter-offer to send back to the Senate before the deadline at the end of Monday night, at which point the government would cease all but its most essential operations. Because of the peculiarities of Senate procedure, Cruz was actually preventing the chamber from taking up the very legislation to fund the government that he and other conservatives favor. He was arguing against efforts to take up that bill because Democrats have the necessary votes to strip the measure to defund Obamacare from the underlying legislation. Carrie Dann, Andrew Rafferty, Frank Thorp and Kelly O'Donnell contributed to this story. Senator Hagel, in 2002 you referred to Fidel Castro as a “toothless old dinosaur” and praised former President Jimmy Carter’s recommended policy of relaxed sanctions and diplomatic engagement as “exactly right.” In 2008, you were a signatory to a letter to Secretary of State Condoleezza Rice urging the U.S. relax sanctions and engage Cuba due to Castro’s “imminent departure.” As of February 1, 2013, the Castros have not departed Cuba or shown any indication that additional concessions from the United States would modify their repressive regime. An American contractor, Alan Gross, languishes in a Cuban prison. Do you still believe Mr. Carter’s recommended policy towards Cuba is “exactly right?” Would relaxing sanctions and engaging with the Castros be the hallmarks of your policy towards Cuba should you be confirmed? I support President Obama's Cuba policy which is focused on supporting the Cuban people’s desire to freely determine their future, reducing their dependence on the Cuban state, and pursuing the widely shared goal of a Cuba that respects the universal human rights of all its citizens. The President’s actions to facilitate family travel, people to people travel, the flow of remittances into private hands, and information to, from, and within Cuba have contributed to this objective. I share the President’s view that the Cuban government must change its outdated political model to reflect the commitments undertaken by other governments in the Hemisphere to promote and defend representative democracy. Policy matters and other diplomatic issues involving Cuba are led by the State Department.